Cardiff host Bournemouth in Premier League action this weekend in a match that could have a drastic effect on the relegation battle. Whilst the football is the occasion, it is likely the atmosphere will be solemn as it is the first time the Bluebirds will play at home since the disappearance of Emiliano Sala. However, the home side must improve on recent form if they are to remain a Premier League team. Meanwhile, Bournemouth have pulled off two great consecutive wins over Chelsea and West Ham. The home side are priced at 21/10 to win this match by SkyBet. Despite losing to Arsenal in their previous outing, they were impressive for much of the match. However, their home form has been far from desirable. The introduction of Oumar Niasse is a big boost for the attack and he is price boosted 15/2 to score first. Callum Paterson is their highest scorer so far and he has 4 goals. That’s 20% of their goals scored all season. He is 23/10 to score anytime. Past meetings do not go in Cardiff’s favour either. They have failed to win in their last four meetings with the Cherries. They are 9/2 to win and both teams to score. Bournemouth are favourites and are priced at 5/4 to win. The visitors will be in high spirits after their 4-0 thrashing of Chelsea. However, their form on the road has been abysmal with seven defeats in a row. Josh King will be vital for Eddie Howe with the absence of Callum Wilson and David Brooks in attack. King has 8 goals this season and is price boosted at 7/1 to score first. The referee for this match will be John Moss. The official has not been shy with the cards this season and has averaged 40.8 booking points in his 12 Premier League matches. 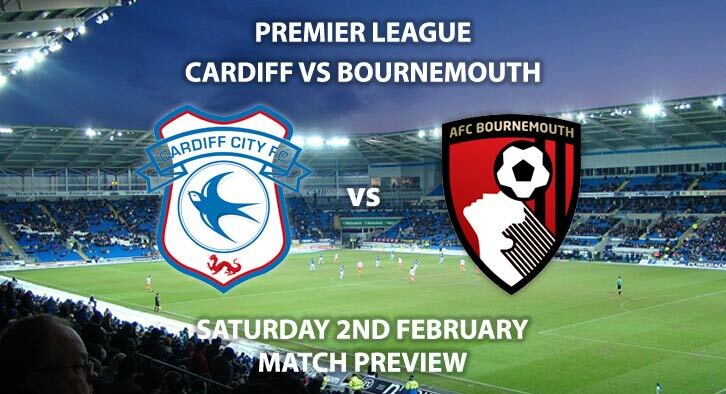 Cardiff City vs Bournemouth will be televised live in the UK on BT Sport 1 HD and kicks off at 17:30 GMT. – The home side will be desperate for points however Bournemouth will not roll over easily. First Goalscorer – Oumar Niasse – (link no longer available). To Score and Win – Ryan Fraser – 6/1. Correct Score Group Betting – 1-1, 2-2, or 3-3 Draw – 3/1. Popular RequestABet – Bamba to score a header and Bournemouth to score a penalty – 125/1. RequestABet Specials up to 10/1 – BTTS, 4+ Corners Each Team and 20+ booking points each team – 11/2.